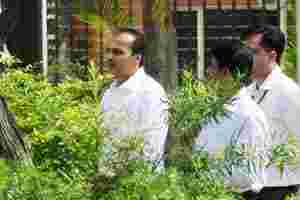 New Delhi: Anil Ambani-controlled Reliance Telecom Ltd moved a petition on Monday in the Delhi high court that seeks quashing of charges framed against three of its executives by a special court. There was no prima facie case against the company or the three executives—Gautam Doshi, Surinder Pipara and Hari Nair—for criminal conspiracy, Reliance said in a statement. “Swan Telecom application (was) filed months before Raja even became telecom minister," it said, adding the prosecution had conceded that Reliance had exited Swan Telecom before the licence was issued. On Saturday, the special court passed an order framing charges against Reliance Telecom and the three executives. The court also directed that the trial begin on 11 November.